"Between 1970 and 1980, the ecosystem of the western Black Sea collapsed, an ecological and socio-economic disaster driven mainly by the enormous volume of nitrogen pollution that the Danube River was delivering to the Black Sea." “I remember clearly that it all started in Sofia, Bulgaria, in the autumn of 1991. As an official of the Slovak Ministry of Environment, I had an opportunity to listen to a presentation by the first Chief Executive Officer of the GEF, Mohamed El-Ashry, in which he presented a vision for an environmental recovery programme for the Danube River Basin. Representatives of Danube countries, and the donor community, had all gathered to establish the foundation for this programme that would gradually transform, over two decades, into the GEF Strategic Partnership for Nutrient Reduction in the Danube/Black Sea basin. Let me explain the problem: Between 1970 and 1980, the ecosystem of the western Black Sea collapsed, an ecological and socio-economic disaster driven mainly by the enormous volume of nitrogen pollution that the Danube River was delivering to the Black Sea. Vast numbers of dead algae and other aquatic life covered the beaches of Romania and western Ukraine. By 1990, losses of bottom-feeding animals were estimated at 60 million tons, including five million tons of fish, and about 40,000 km2 of the north-western shelf of the Black Sea was effectively considered a ‘dead zone,’ with insufficient levels of dissolved oxygen to support any kind of life. So it was that, in 1991, the governments of Danube and Black Sea countries welcomed the introduction of a series of projects to be implemented by UNDP with financing from the GEF International Waters focal area. These projects would contribute over US$ 50 million in GEF grants, with the long-term objective of restoring the highly degraded Danube/Black Sea transboundary aquatic ecosystems. We especially appreciated that through two of these projects, we would receive assistance in preparing an investment portfolio for nearly 500 projects, with private and public sector investment worth over US$ 5 billion, to tackle pollution reduction from every possible angle – including everything from wastewater treatment to restoration of wetlands. The impacts of this work have been remarkable. It would be hard to find any other place on Earth where such water quality and ecosystem improvements have been achieved, over only two decades, in a large river basin and its receiving sea. In the Danube Basin, nitrogen and phosphorous emissions have decreased by 20 percent and 50 percent respectively, and oxygen levels are now at or near saturation in most areas of the Black Sea. The downstream impact of this has been the effective elimination of the ‘dead zone’ in the northwest shelf of the Black Sea, a marked decrease in the frequency of algal blooms, and the return of many species that had become locally extinct. Associated with these changes, there has been a significant recovery in revenues from tourism and fisheries in the Black Sea region. These projects played a catalytic role in helping countries to make full use of policy, legal and institutional reforms to advance nutrient reduction, and to increase their capacities for the protection, management and sustainable use of shared water resources. They built partnerships with other donors, enhancing the enabling environment for public and private nutrient-reduction finance going forward, and paving the way for the EU accession of seven Danube countries. Many best practices have emerged from these projects that can serve as models for adoption elsewhere. Personally, I am especially proud of one of these innovative practices, which has contributed to ongoing impacts from this work. Following consultative processes, the project developed an Exit Strategy to set in motion a phase-out of project support in preparation for the International Commission for the Protection of the Danube River (ICPDR) operating as a self-financing Commission and Secretariat. As a result, we now have a technically and institutionally strong Danube Commission and the Danube countries are now standing confidently, backed by solid environmental regulation and real investments, to meet their own environmental needs. The Commission is strongly committed to further efforts to reduce nutrient pollution, especially from the agricultural sector. Targeted measures will help farmers to decouple economic growth in the agricultural sector from pollution of ground and surface waters. This success story has not ended. The Danube Ministerial Conference in 2016 acknowledged the impressive progress in ongoing reduction of organic emissions from point and diffuse sources. Hundreds of fish migration aids have been constructed, opening up migration routes and improving the connectivity between habitats. In addition, more than 50,000 hectares of wetlands and floodplains have been partially or totally reconnected, restoring ecosystem functioning and flood attenuation services. IVAN ZAVADSKY is the Executive Secretary in the Permanent Secretariat of the International Commission for Protection of the Danube River. He has occupied various senior management positions in the Bratislava Water Utility Company and the Slovak Government, and has served on the GEF Secretariat, with responsibility for complex regional programmes and projects under the International Waters thematic area. Between 2001 and 2007, he served as co-ordinator of two nutrient pollution reduction projects in the Danube/Black Sea basin. He has a Masters degree in water management and a post-graduate qualification in water management economics. The Danube is the second largest river in Europe, draining an area of 817,000 before discharging into the Black Sea. Its delta is the second largest natural wetland in Europe. Unsustainable use of water resources and the release of untreated wastewater (mainly from agricultural runoff and discharge of urban sewage) into the river, has resulted in reduced water quality and quantity, causing significant environmental damage, with associated threats to public health, economic activities and quality of life. Pollution in the Danube has also contributed to increased downstream environmental problems in the Black Sea such as eutrophication, algal blooms, and species loss. 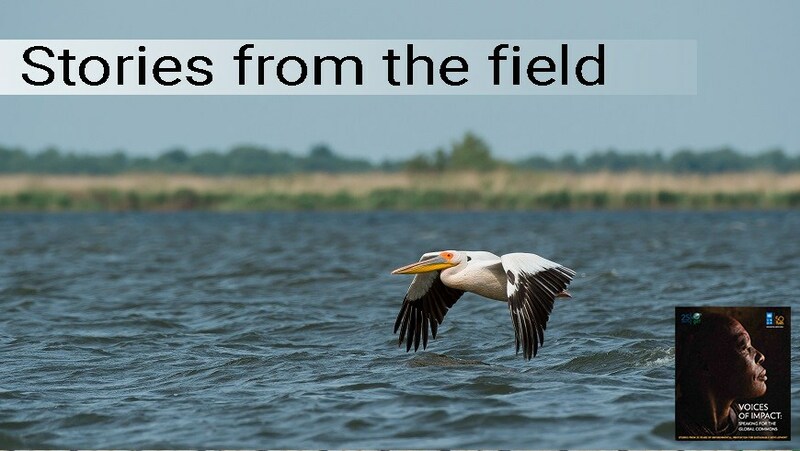 Impoundments and other hydraulic structures have been built on the Danube, with negative impacts on wetlands and floodplains, threatening the region’s bird and fish habitats and compounding the risk of flood damage. The overall goal of the Danube Regional Project described by Ivan Zavadsky, has been to restore the ecological condition of the river basin and manage its natural resources more sustainably, with particular attention paid to achieving sustainable ecological gains within the Danube River Basin and Black Sea area – including the reduction of nutrient and toxic loads to levels which will allow ecosystems to recover to 1960-conditions. The Danube Regional Project, implemented by UNDP in partnership with the International Commission for the Protection of the Danube River (ICPDR), was one of three components of the basinwide approach adopted by the US$ 95 million GEF Strategic Partnership for Nutrient Reduction in the Danube/Black Sea Basin. Other components include the Black Sea Ecosystem Recovery Project (a joint UNDP, Black Sea Commission and UNEP initiative), and the Partnership Investment Fund for Nutrient Reduction (a GEF-financed, World Bank-supported fund), which provides single-country nutrient reduction investments.